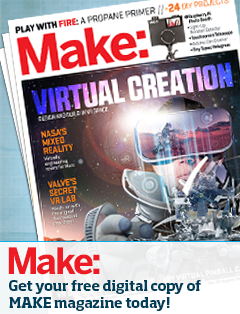 ← We’re Making a Maker Faire! Over the next few weeks, we are going to be showcasing some of the amazing makers who will join us at Hamilton’s first Maker Faire in June. We are super excited to showcase the wealth of creative talent this city has to offer. Stay tuned for more bios and project highlights, and join us at the Museum of Steam & Technology on June 21 to hear them live and be inspired! I think it would have been courteous for you to mention The Hamilton Model Engineering Club. Many members made considerable effort to setup a display of their models. The Models were operating and many questions from the visitors were answered . Raymond LA Pointe fonder and passed president of HMEC. Of course Raymond, please accept our apologies. We were grateful to have the Hamilton Model Engineering Club join us last Sunday. The HMEC models were definitely one of the highlights of the show! We are planning to add a wrap up post with photos soon which will feature HMEC and as many other exhibitors as we can. Thanks again for your feedback, and we hope to see you again next year!